Covering 250 acres, White River State Park in downtown Indy is the most unusual and special state park I have ever seen. Ask most travelers of any age what makes a hotel stay great and the answer is usually the same – nice hotel people. That means hotel staff that go out of their way to make a family feel at home. Maybe it’s a couple of extra pillows in the room or a smiling clerk who knows that little travelers like to be welcomed as well. Close behind those friendly hotel folks is a list of what families look for to help make a stay memorable – swimming pool, complimentary breakfast, free WiFi, spacious rooms, in-room refrigerators and microwaves, closeness to attractions and easy parking. Indianapolis has a wealth of attractions and the family-friendly hotels to go with them. For a fun place to lay your head, pick the Crowne Plaza at Union Station, housed within America's first Union Station. It is still a working train station which enhances its authenticity and ambience. Triple the family fun by choosing a value-packed adventure package at local hotels. Enjoy overnight hotel accommodations and get tickets to two of Indy’s top attractions – The Children’s Museum of Indianapolis and The Indianapolis Zoo. Staybridge Suites, Omni Severin and several other hotels offer the money-saving packages. As you drink in the skyline and the city's sights and sounds, let the whole family create and share the memories from your visit to Indianapolis. Family friendly hotels can help remove some of the stress of a family trip so you can focus on time with your loved ones. If you wanna feel like home, this is the place to stay. 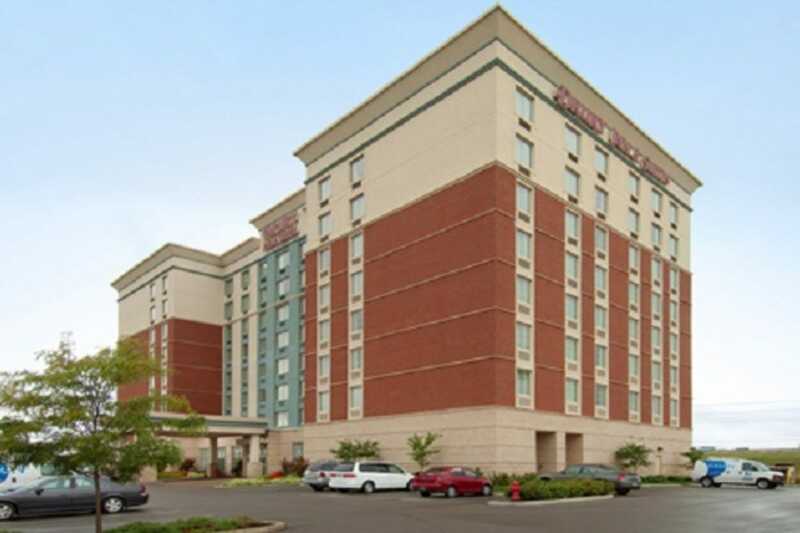 Located adjacent to Lucas Oil Stadium (home of the Indianapolis Colts), this extended stay hotel features 113 suites with fully equipped kitchens, living rooms with sleeper sofas and flat screen TVs. On site are an exercise/fitness room, indoor swimming pool, hot tub, gift shop, guest lending library, free guest laundry, free small movie theater and business center. Guests can enjoy complimentary hot breakfasts as well as complimentary evening receptions on Tuesday, Wednesday and Thursday. Ask for a room with a view of the stadium and get a room package that includes passes to The Indianapolis Children's Museum and The Indianapolis Zoo. One of Indy's premier hotels, the 424-room historic Omni Severin has played host to some of Indy's biggest names - and some celebrity visitors. No wonder. The 1913 hotel offers lovely Edwardian-style decor with elegant cherry veneer furniture. 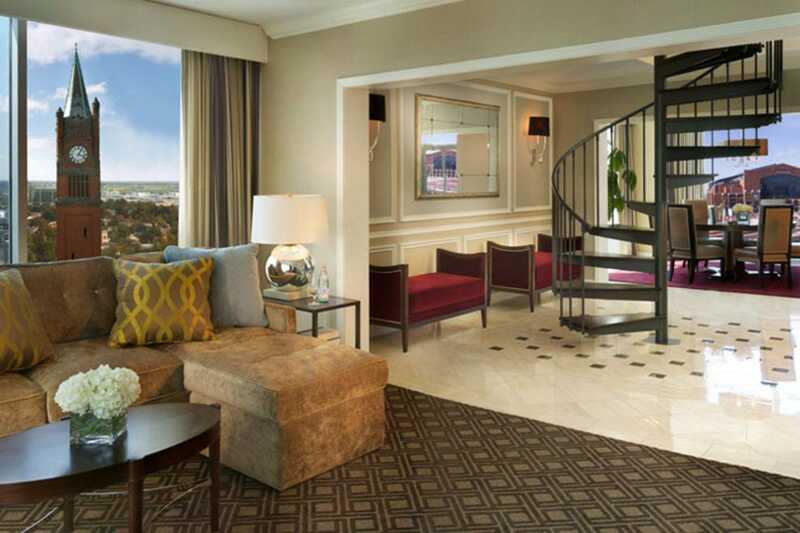 Omni Severin features the best of the past with today's luxuries and technology. Amenities include plush robes, triple-sheeted beds, minibar and sitting area. 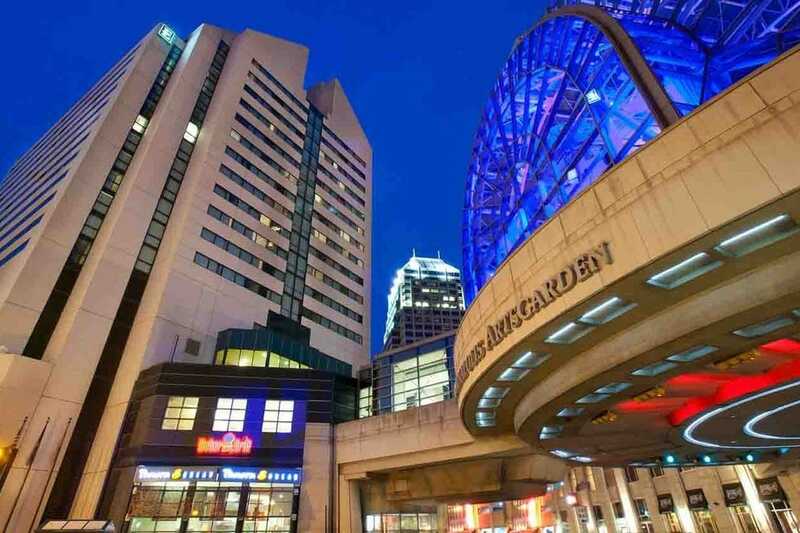 Located in the heart of downtown Indy, the Omni Severin is connected via skywalk to Circle Centre Mall and Convention Center. It's a short walk to the Colts stadium and Pacers fieldhouse. Dining options include farm-to-table 1913 Restaurant, sporty Severin Bar, elegant Wine Thief and hotel lobby Starbucks, plus 24-hour room service. An exercise-fitness room, gift shop and indoor swimming pool are available. White River State Park is only three miles away with 250 acres of gardens and trails. The multilingual staff at the four-diamond resort is highly accommodating. 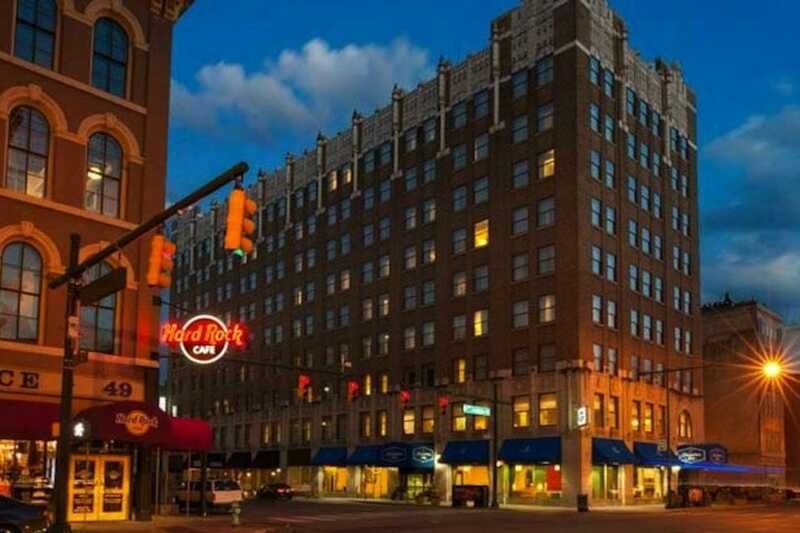 Housed in the beautifully restored, nine-story 1929 historic Chesapeake Building, Hampton Inn Downtown is located across the street from Circle Centre Mall and a short walk from Lucas Oil Stadium, Bankers Life Fieldhouse and several popular restaurants. The hotel features 180 rooms, plus 24 suites, and offers a complimentary breakfast bar with more than 45 delicious items. Rooms have free WiFi, free local calls and Cloud Nine beds. Cribs, high chairs, playpens and family packages are offered. The property also has a business center, restaurant and snack bar. Downtown bars are open late so request a room on the upper floors away from the elevators for more peace and quiet. Staff has a reputation for being very helpful and friendly. 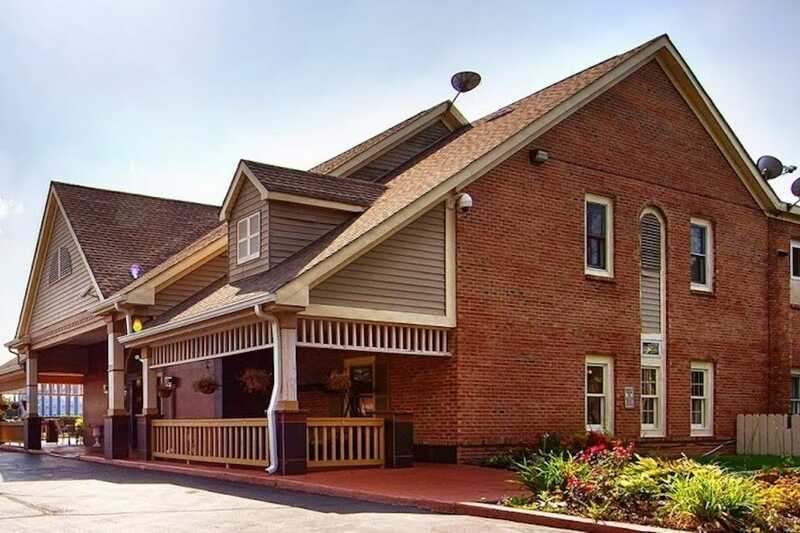 An all-two-room-suite hotel located about 15 minutes from downtown Indianapolis, Best Western Country Suites doesn't have a pool if that is important to your family. 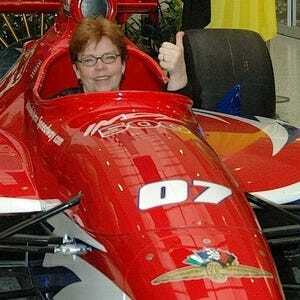 But it does offer a handy location for many local events, including the Indy 500 and Indiana State Fair. The 100 percent no-smoking hotel has a fitness center, business center, guest laundry, free parking and a complimentary breakfast with eggs, meat, bread, fruit and other items. Rooms have flat screen TVs, free WiFi, microwaves and refrigerators. The two-room layout works well for families. If it's a perk to you, a stay at Best Western Country Suites give you access to Costco with your room key. 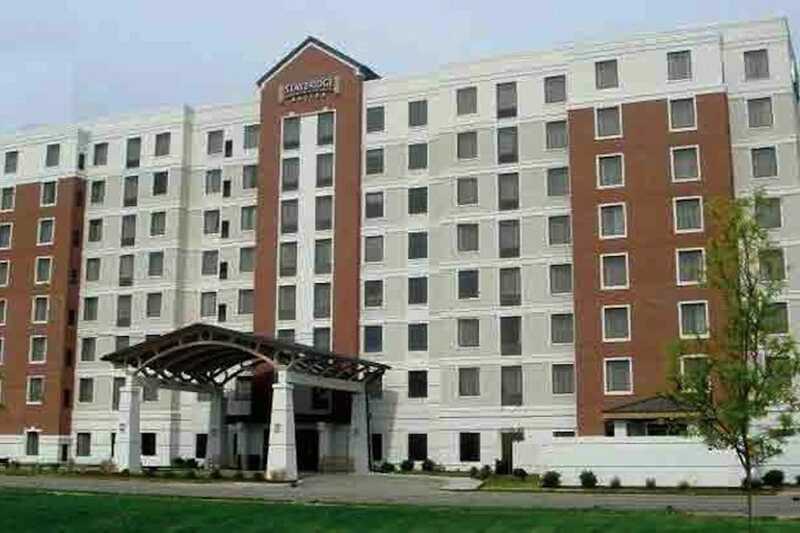 The Drury Inn & Suites Indianapolis Northeast has 210 rooms arranged over eight floors. But it's the extras that keep travelers returning time and again. Look at the long list - outdoor pool, indoor pool, spa tub, free parking, fitness center, laundry facilities, free WiFi, flat screen TVs with cable, free local calls, free 60 minutes of long distance calls, 2-room suites, in-room microwaves and refrigerators, business center, free newspapers in lobby, dog and cat pets allowed for $10 daily cleaning fee, and complimentary breakfast. A great way to start the day, Drury's Hot Breakfast includes scrambled eggs, biscuits and gravy, sausage,, Belgian waffles, French toast, fruit and more. A nice plus is the 5:30 p.m. Kickback with complimentary hot food and cold drinks. Free popcorn and soda also are available daily in the lobby from 3 to 10 p.m.
For a stunning location, Residence Inn Indianapolis Downtown on the Canal is an easy choice. 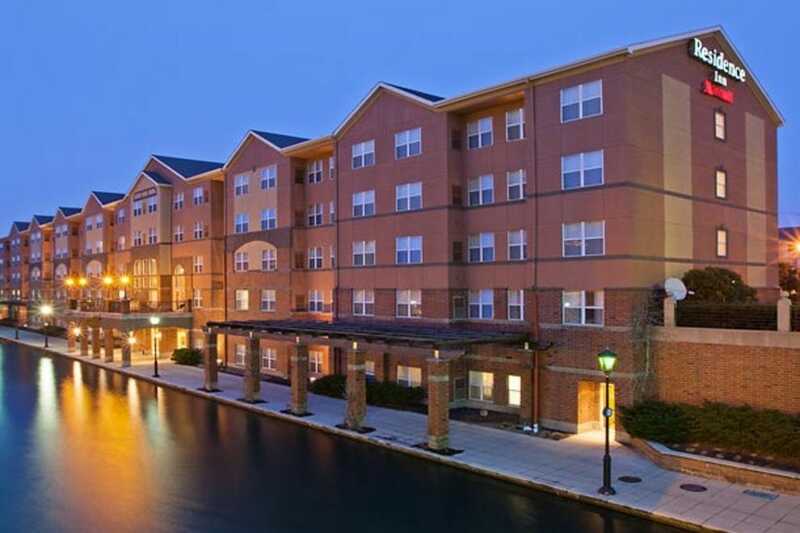 The only hotel in downtown Indy on the historic Canal, Residence offers access to jogging trails, paddleboats and beautiful parks. The inn is within walking distance of many downtown attractions. But the wonderful location and the great view are not all Residence has going for it. The inn's guestrooms feature free WiFi, full kitchens, luxury bedding, pull-out sofa beds, separate sitting areas, free breakfast buffet, free evening social hour and even free grocery shopping service. The five-floor, 134 suite, non-smoking hotel has a fitness center, indoor pool, whirlpool, outside picnic area and small convenience store. A relaxing fireplace is available in two-bedroom suites. The Residence Inn welcomes pets for a $100 non-refundable fee. As the name says, Residence is ideal for families and business travelers who want to feel more at home on the road. For downtown attractions, visitors can find a great home base at SpringHill Suites Indianapolis Downtown. 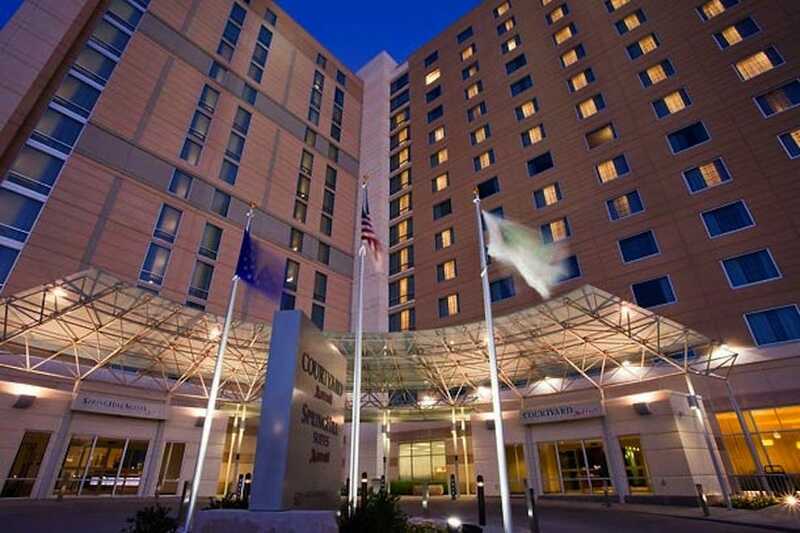 Overlooking beautiful White River State Park, the hotel connects by skybridge to the Indiana Convention Center and Circle Centre Mall. SpringHill Suites is part of the massive JW Marriott complex. Located across the street from the Eiteljorg Museum, it's an easy walk to the NCAA Hall of Champions and Indiana State Museums. It's about a four-minute drive to the Indianapolis Zoo but many folks prefer to walk there. SpringHill suites have separate living areas with pullout sofas, free WiFi, flat screen TVs, microwave and mini-fridge. Cribs and playyards are available as are kid's activity kits. Coin-operated laundry is onsite, plus indoor pool. Complimentary breakfast includes scrambled eggs, bacon or sausage, waffles, bagels, fruit, yogurt and much more. Parking is $22 per day which is not bad in downtown Indy. 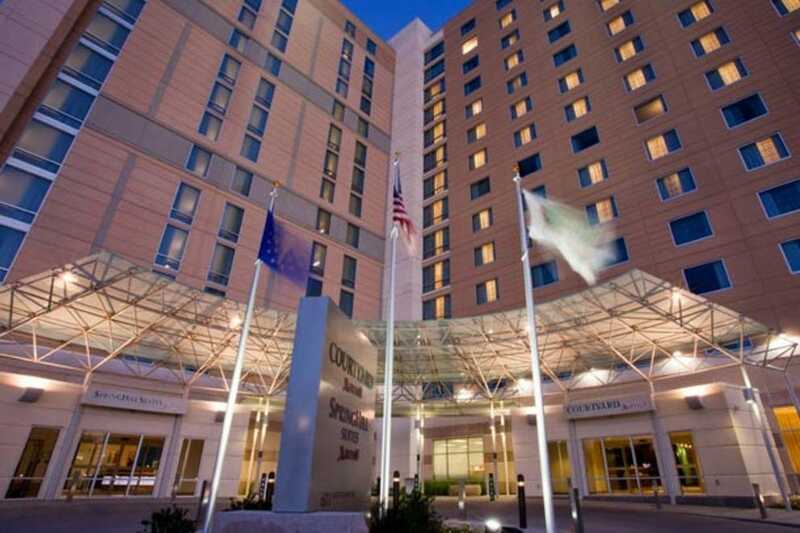 Embassy Suites Hotel in downtown Indianapolis is close to Lucas Oil Stadium - only .5 miles, charges reasonable rates and offers gracious perks that guests appreciate. Start each morning with complimentary made-to-order breakfast and wind down with complimentary drinks and snacks served two hours each evening. Guests can choose from a variety of alcoholic and non-alcoholic beverages and light appetizers as a wonderful way to relax and, perhaps, relive the day's winning Colts football game. The 360-room Embassy Suites features two-room suites with private bedroom, separate living room, wet bar and comfortable work chairs and tables. Relax in the hotel's indoor swimming pool and whirlpool or use the fitness center. The onsite Claypool Grille is a full-service, casual dining restaurant in the lobby atrium. Menu items range from pork tenderloin and classic Reuben sandwiches to bacon-wrapped ribeye steaks and lemon herb tilapia. The Grille also serves alcoholic beverages and appetizers. Ghostly travelers still haunt historic Union Station. Listed on National Register of Historic Places and America's first Union Station, the magnificent Romanesque revival-style building is home to 273-room Crowne Plaza hotel with indoor swimming pool, free WiFi and business center. 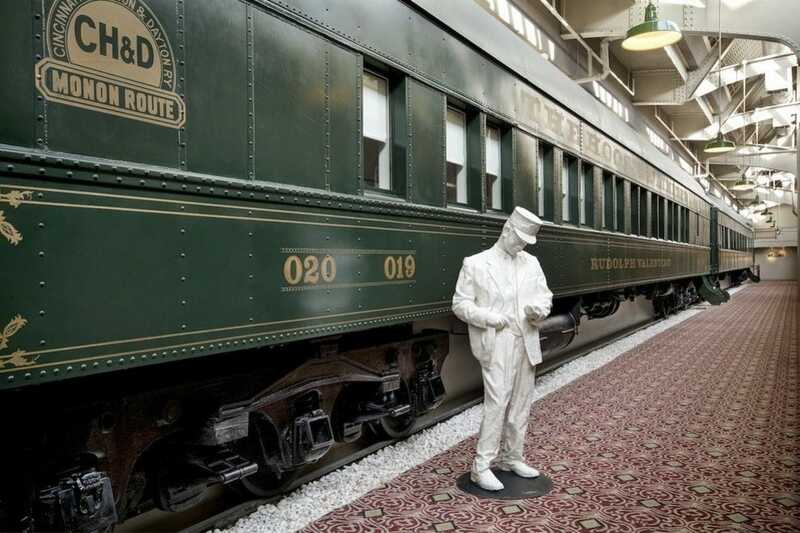 Steps away from major downtown attractions, Crowne Plaza lets guests sleep in authentic Pullman train cars still resting on original tracks. Cars are named in honor of early 1900s personalities, such as Charlie Chaplin and Greta Garbo. Or guests can stay in a hotel room. Dining includes 123 West for breakfast and lunch and Taggart's Lounge for lunch and dinner plus handcrafted cocktails. A popular hotel feature is white fiberglass ghost travelers dressed in period clothing. A little girl in old-timey dress holds her mother's hand as they wait for a train. A conductor checks his pocket watch for the next train. The figures add a nice touch of yesteryear. The 297-room Courtyard by Marriott Indianapolis Downtown is part of the $450 million Marriott place. But the smaller Courtyard doesn't have to worry about being in the big blue shadow of its brother, the JW Marriott. The smoke-free Courtyard has its own major guestroom draws - free newspaper, free WiFi, luxury bedding, refrigerators, ergonomic work stations and LCD TVs. A favorite view in the tall-windowed guest rooms overlooks Victory Field where the Indians play ball. 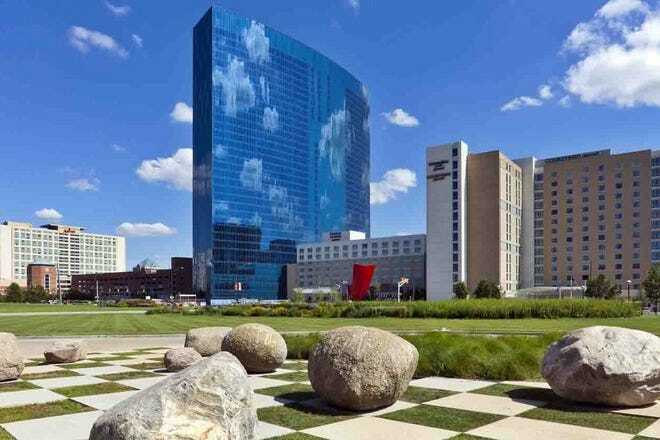 Next to White River State Park, Courtyard is connected to the Convention Center and Lucas Oil Stadium by climate-controlled walkways and is walking distance to many downtown attractions. Courtyard features a gym, indoor swimming pool, Bistro with Starbucks and full bar. The hotel's signature GoBoard in the lobby is an interactive, touch-screen informational display panel lthat allows guests to access driving directions, view local weather, find restaurants and catch up on the news.